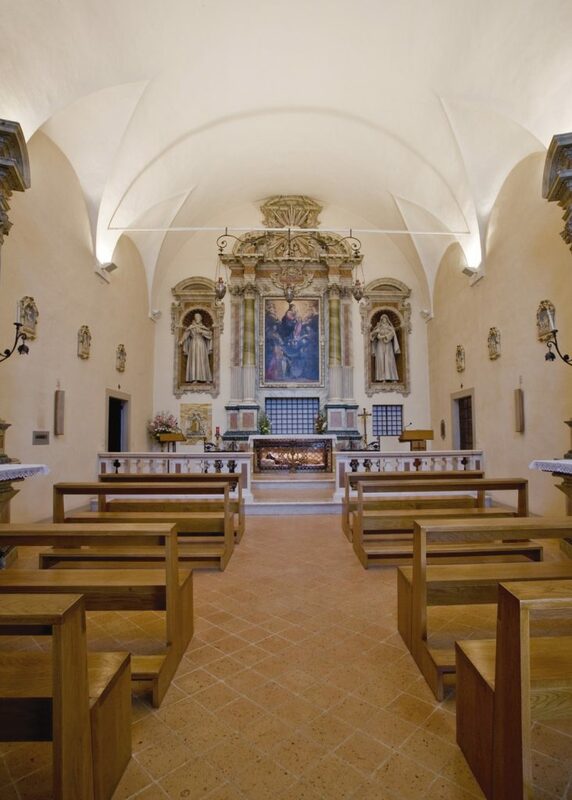 The church, named after St. Martin of Tours, has only one nave. 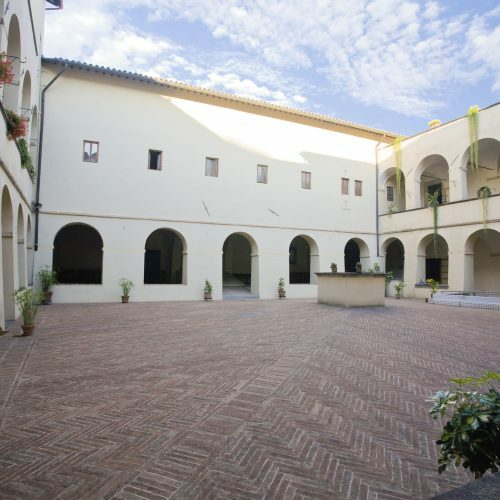 It was formerly occupied by monks of the Olivetan Congregation of the Benedictine Order. 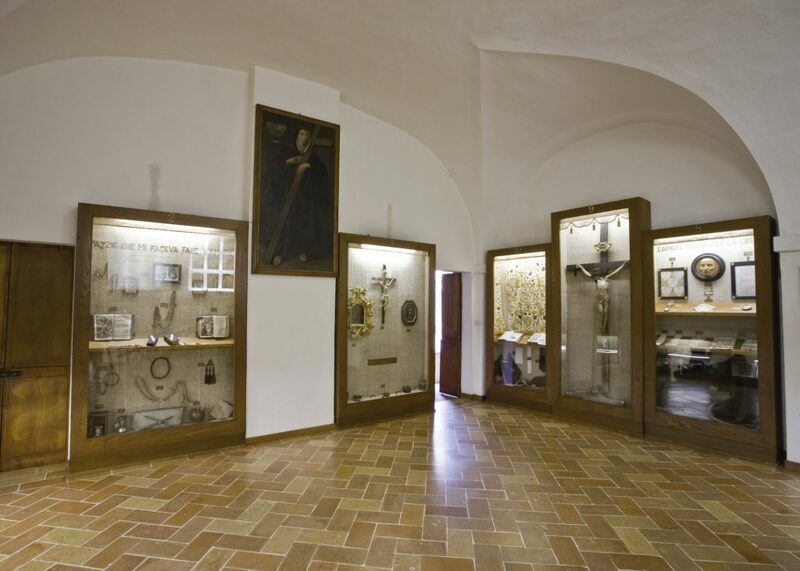 The first reference to its existence dates back to 1208. 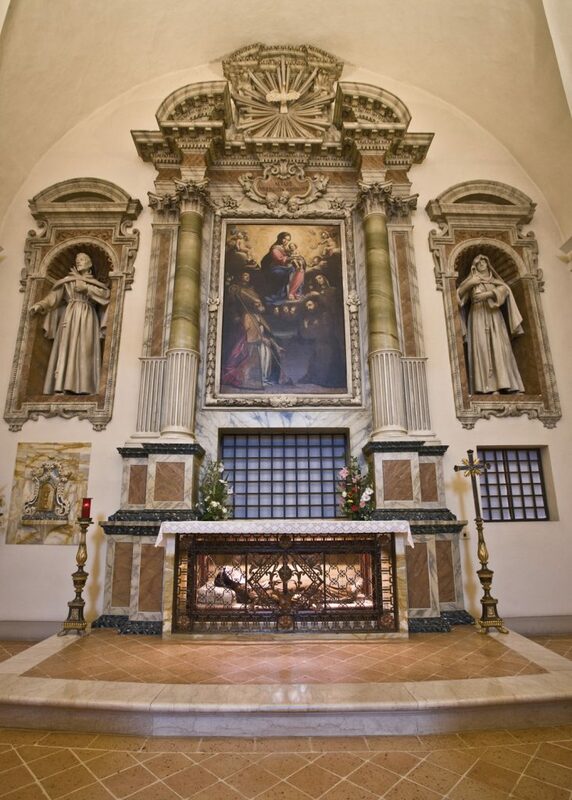 On the main altar there is a painting by Giovan Battista Pacetti, nicknamed “Sguazzino” (1593-1630), depicting the Virgin Mary with the Child sitting on a throne of clouds and surrounded by the saints Anthony, Martin, Francis and Clare. 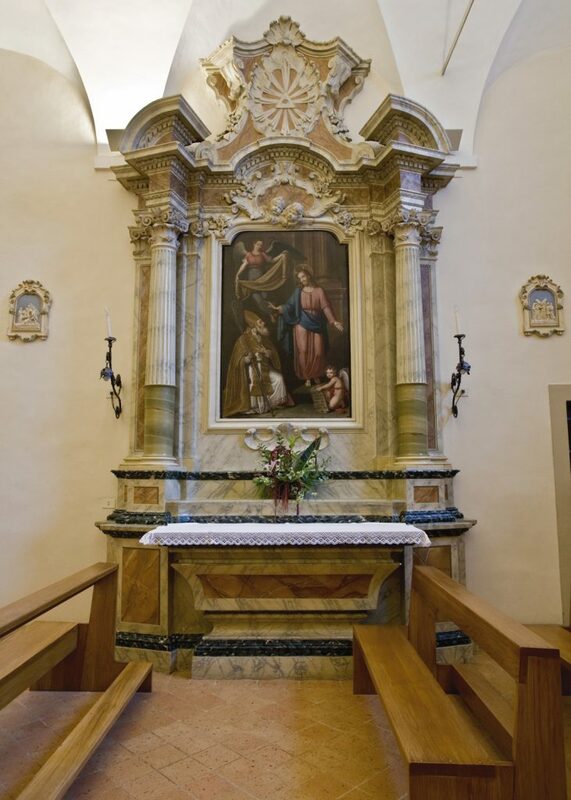 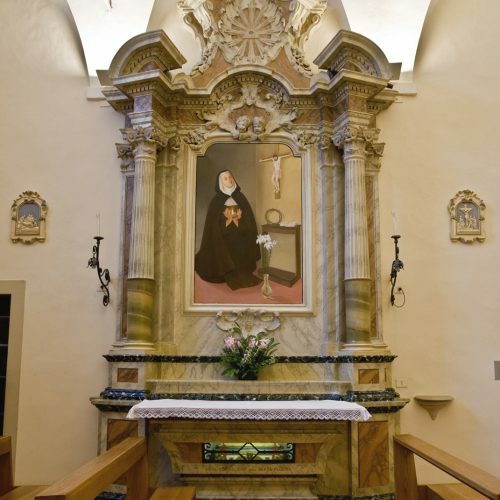 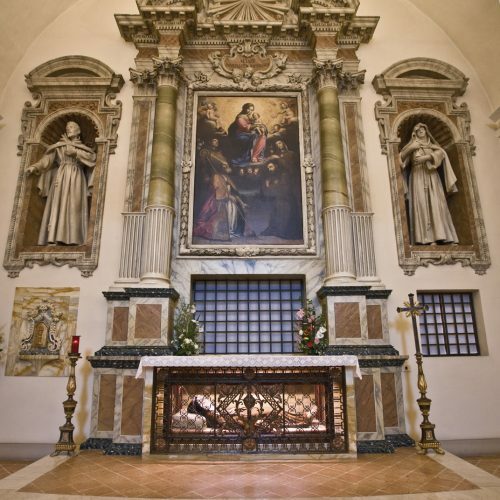 Under the main altar, inside an urn, lies the body of Saint Veronica Giuliani. 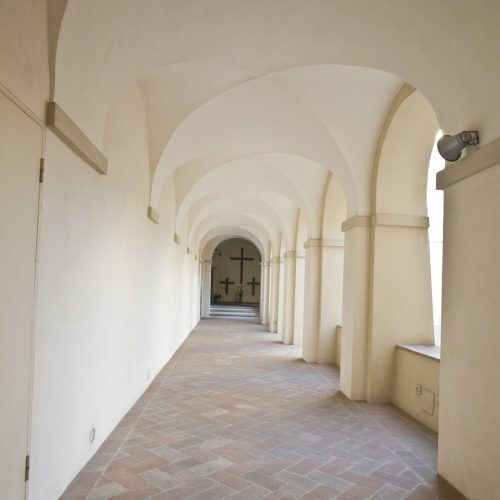 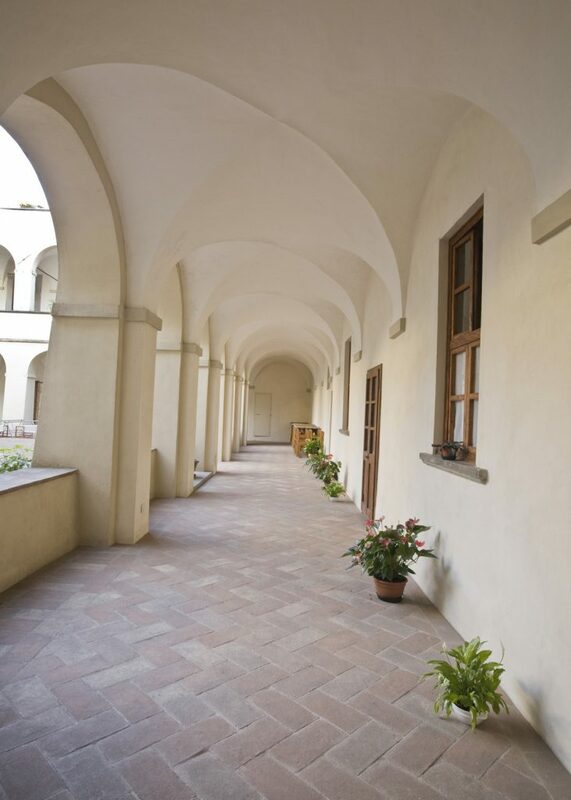 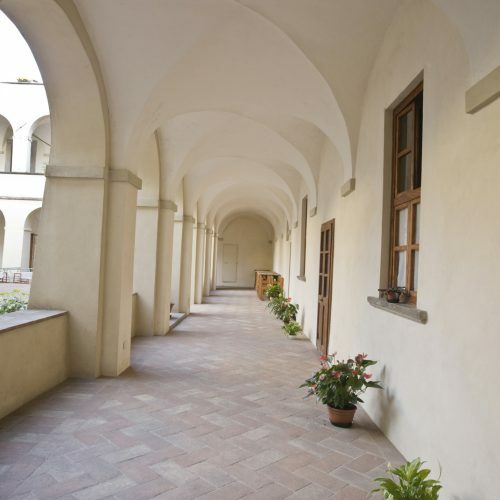 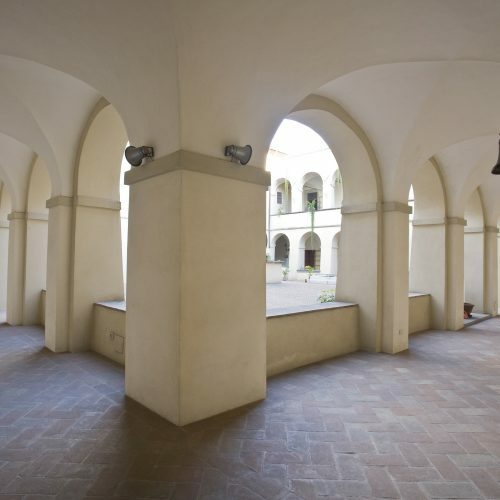 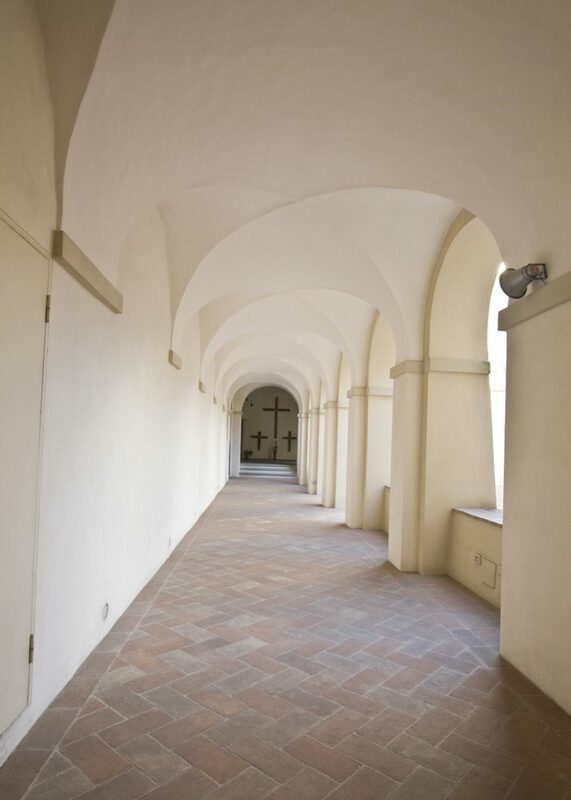 The cloister is the cornerstone of the monastic building. 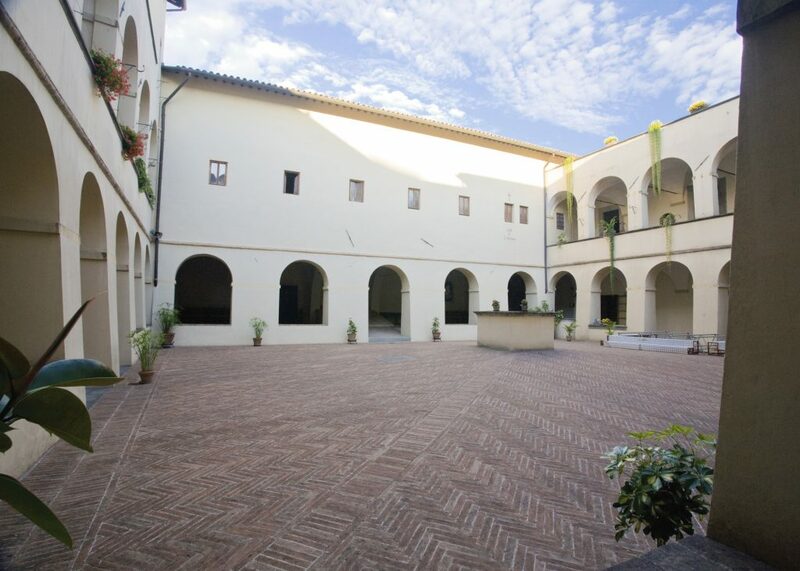 The central square has fishbone paving. 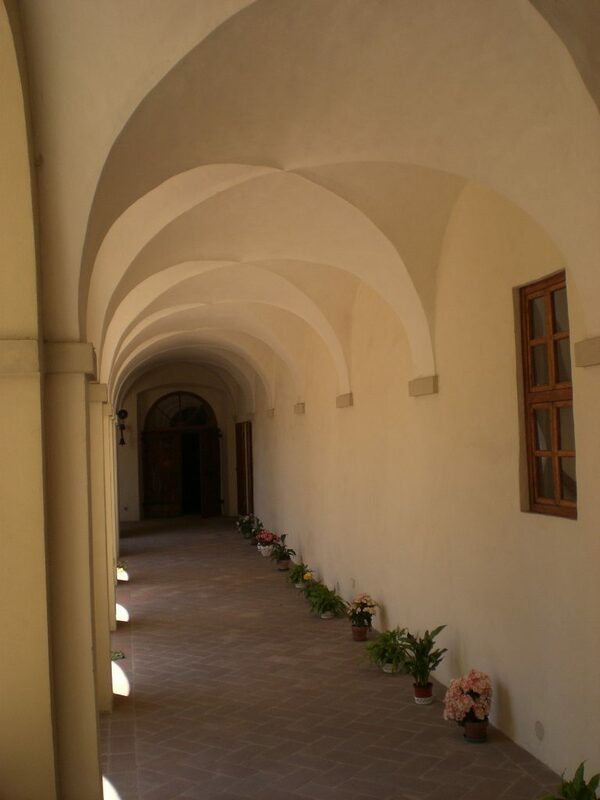 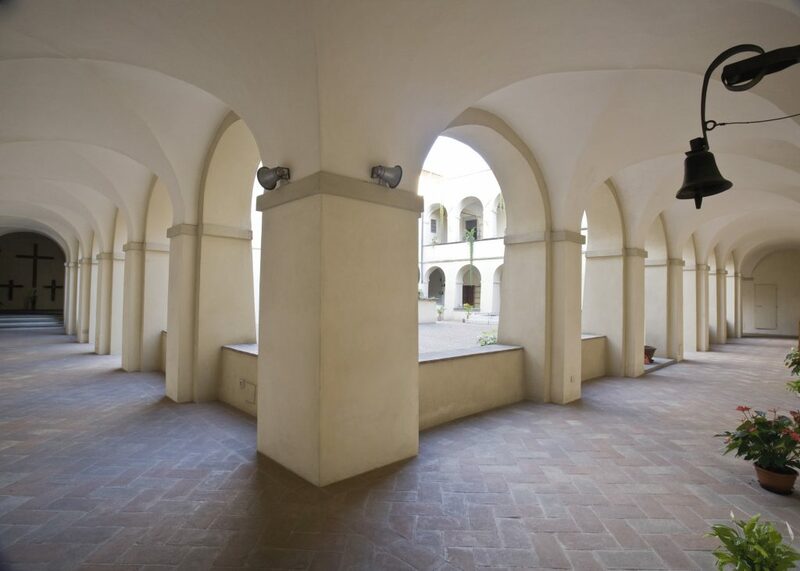 Along the square perimeter, there is a double covered loggia, with two orders of overlapped arches each side. 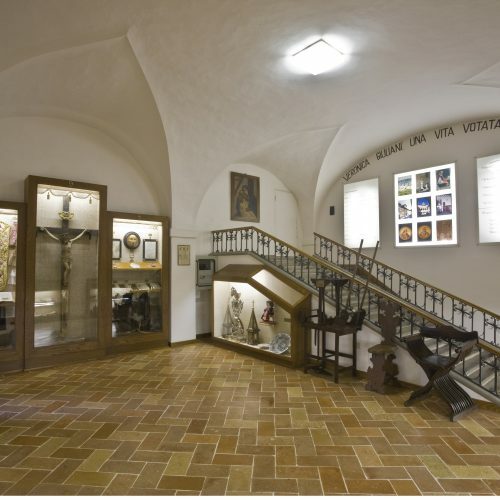 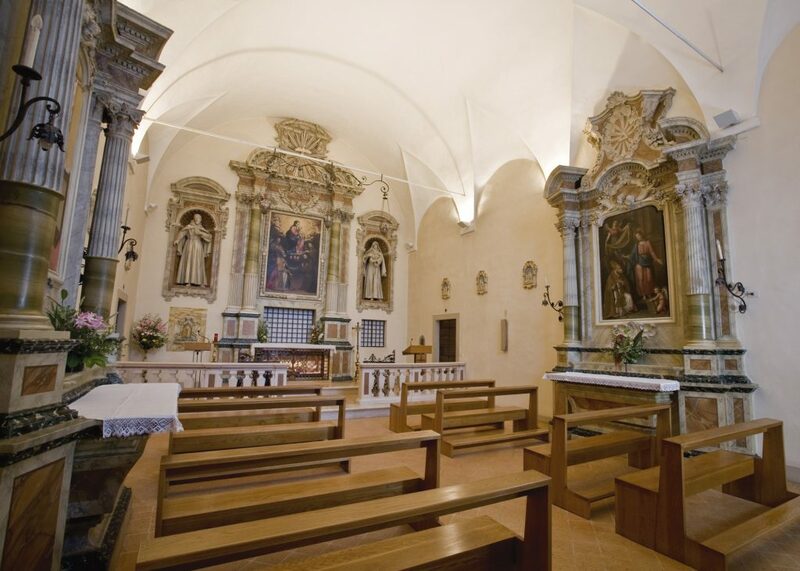 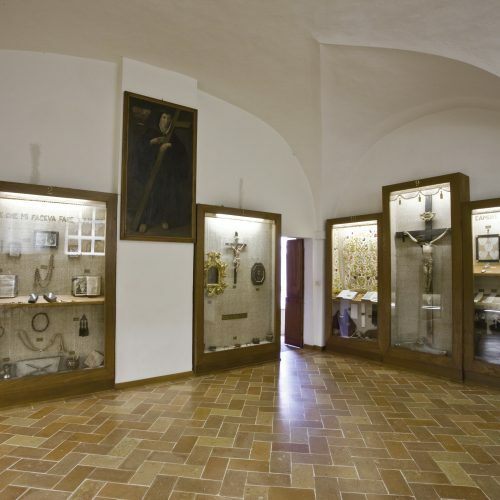 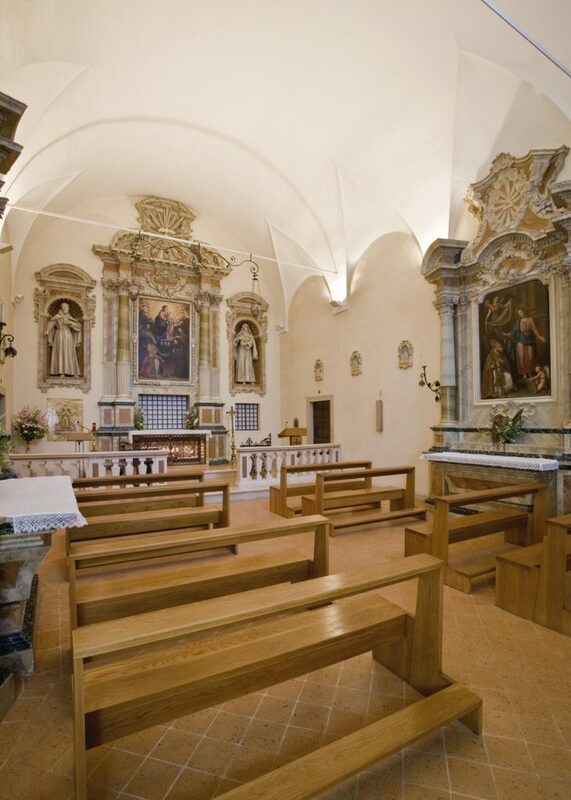 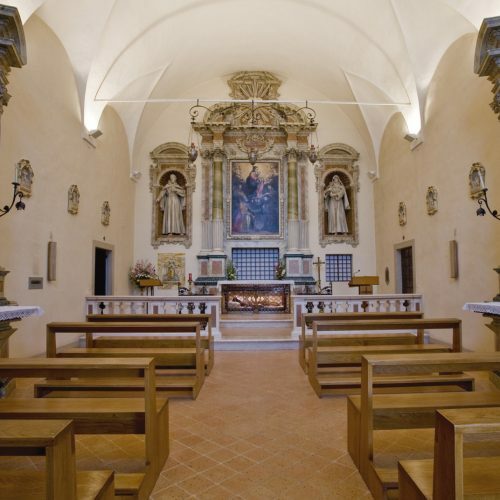 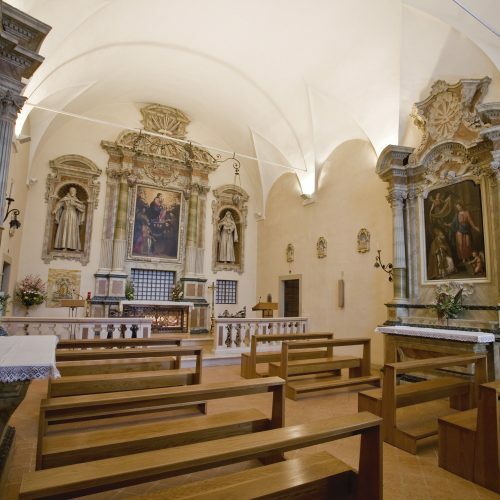 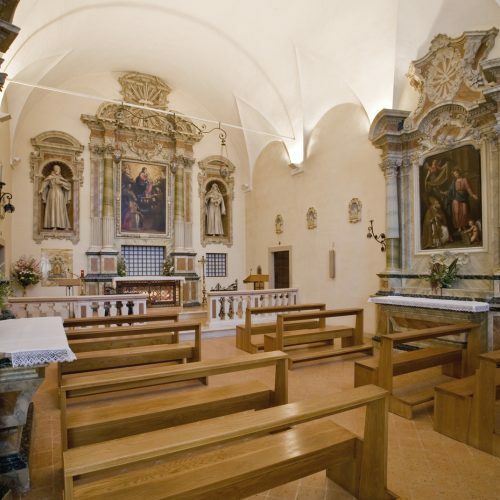 Inside, there is a museum that was established in order to preserve the relics of St Veronica, to offer a glimpse into her life and mystical experiences, and to recreate the atmosphere and environment of the time. 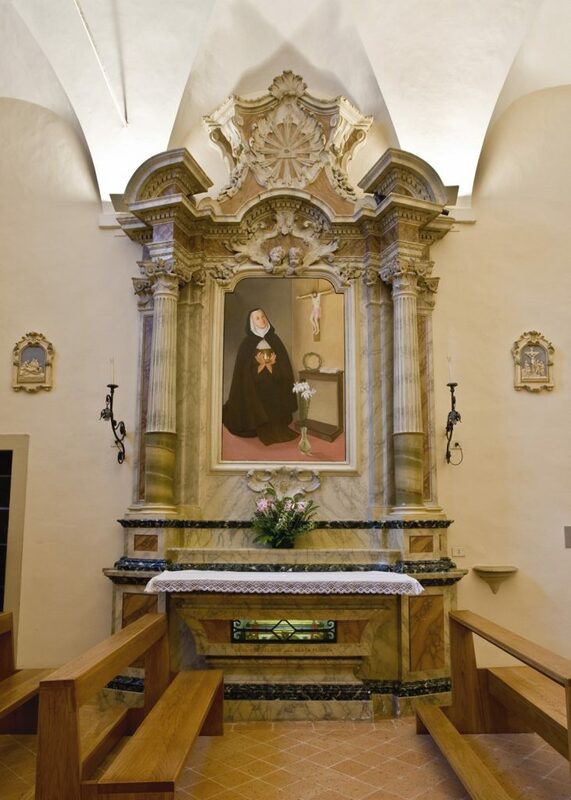 The Holy Stairs date back to the foundation of the monastery and were built to call to mind the Holy Stairs found in the Church of Santa Croce in Jerusalem in Rome. 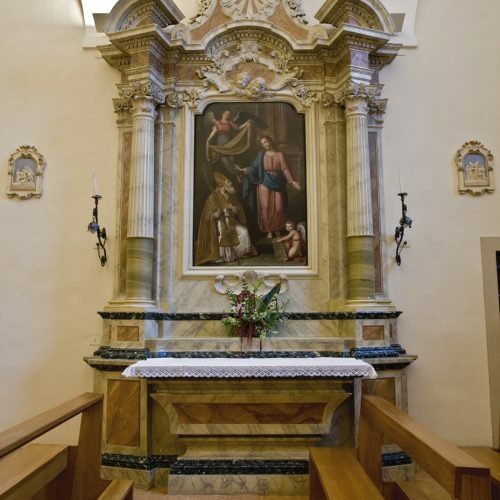 In 1964, Pope John XXIII granted a plenary indulgence to those who climb it during the Novena in preparation for the feast of Saint Veronica. 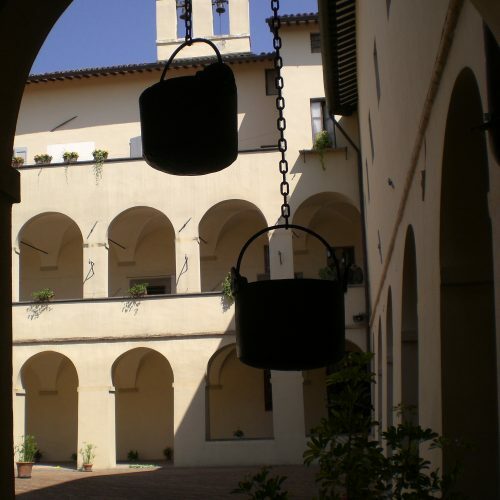 9.30 – 11.30 a.m. – 4.00-5.00 p.m. 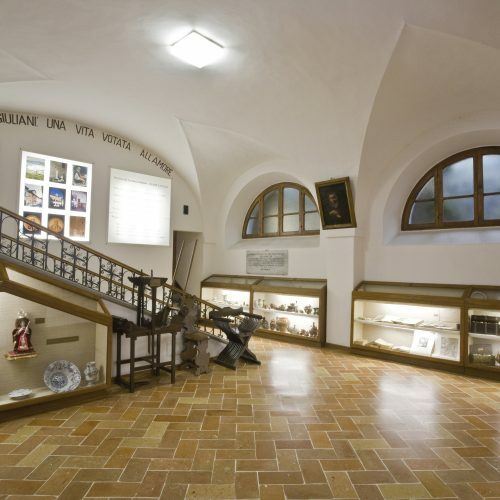 The museum is closed outside of these hours. 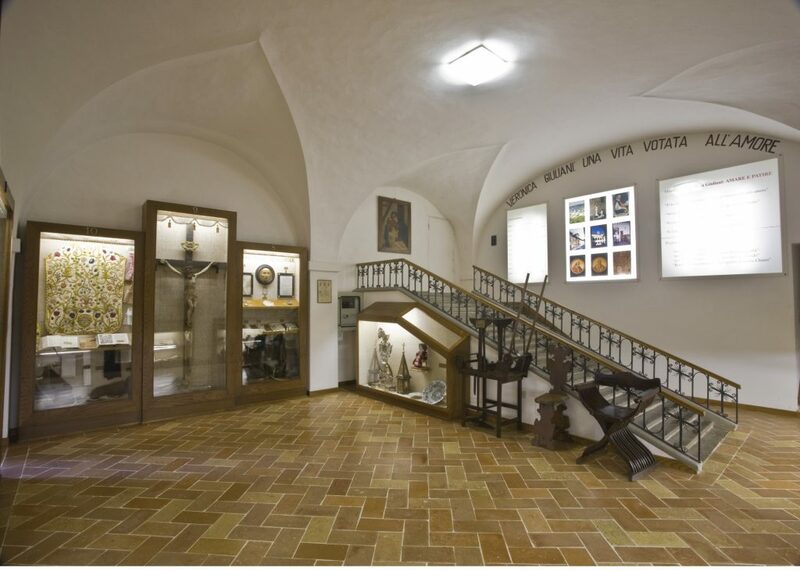 Reservations are required for large groups. 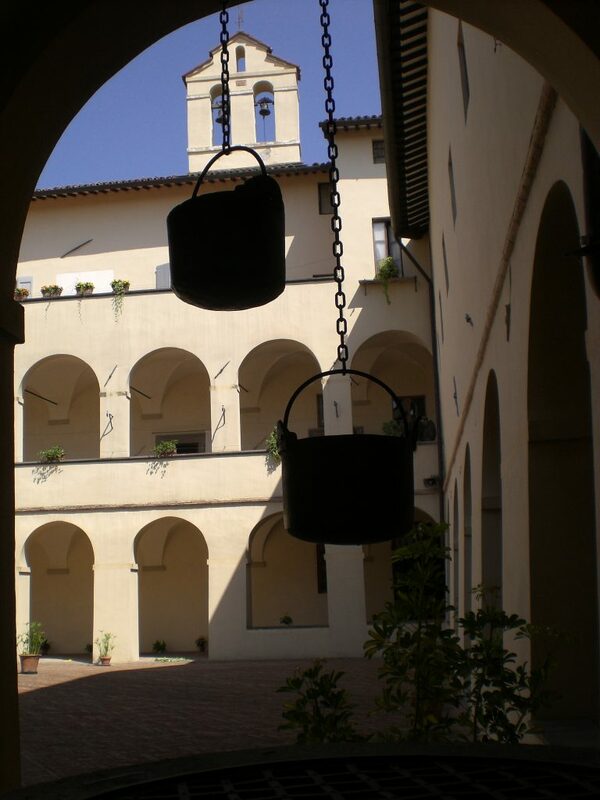 From Monday to Saturday: 10.00 - 11.30 a.m. / 4.15 - 4.45 p.m. On Sundays: 2.00 - 2.30 p.m. 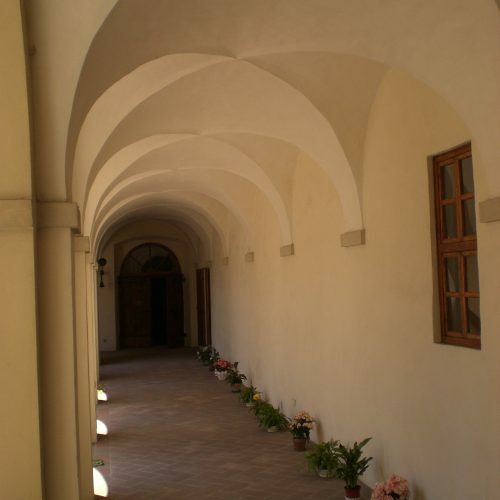 Enter your e-mail to receive communications and invitations from our monastery. 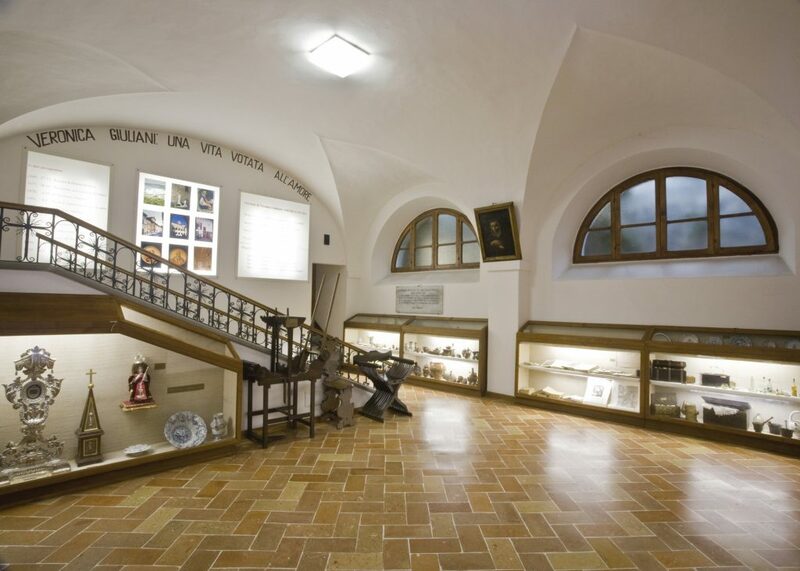 To inquire about materials and to book guided tours at the Museum, please write to: info.santaveronicagiuliani@gmail.com.